Should I take a polygraph examination if the police ask me to? Deciding whether to submit to a police requested lie detector test is complex. Someone should never participate in a polygraph examination without the advice of a seriously experienced criminal defense attorney. In deciding whether to participate in a polygraph examination, you should know several things. Police rarely ask for polygraph examinations because they care about the result. Generally, police ask for polygraph examinations because it gives an expert interrogator (i.e. polygraph examiner) an opportunity to question someone suspected of wrongdoing. The defense team with LEWIS & DICKSTEIN, P.L.L.C. has decades of experience protecting client and helping them avoid criminal charges and convictions. 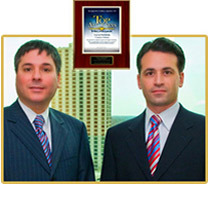 For a free consultation and confidential case evaluation, please do not hesitate to call us at (248) 263-6800. If I agreed to take a polygraph examination, do I still have to do follow through and take it? No. If a police requested polygraph exam is not in your best interest, a lawyer can always contact the police department and cancel the examination. Yes. Lying is a very common and accepted practice of polygraph examiners and police investigators. Lies are often used to trick or manipulate a person into making an admission, confession or inculpatory statement. Remember, the polygraph examination procedure is as much, if not more, about the opportunity to interrogate a suspect and get evidence as it is about the polygraph test results. Generally not. There are exceptions when a polygraph result may be admissible in an evidentiary hearing on the issue of credibility. Even many defense lawyers do not know how to make use of a favorable polygraph examination. 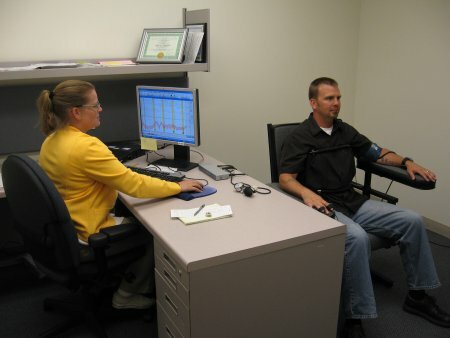 Why should I take a polygraph exam if the results are not admissible? A favorable result may be helpful in avoiding or reducing charges or achieving a favorable sentence. If a prosecutor is on the fence about whether to issue charges, he or she may elect to decline a warrant request if a polygraph examination shows that a subject was being truthful. A favorable polygraph result, in combination with a highly respected lawyer, can result in an outright dismissal of charges. Is it true that some people cannot pass a police requested polygraph exam even if they are truthful? Yes. We often hear clients say that they have no “fear” of a polygraph because they know they are being truthful. Unfortunately, that is not enough. In some cases, we have to have the client have a private polygraph examination before agreeing to participate in a public polygraph so we will know whether there is a physiological issue that will interfere with the results. People sometimes have emotional responses when they tell the truth and sometimes do not emotionally respond when lying. A polygraph machine is simply not a lie detector. It will register false positives and false negatives and will vary from one test to the next. Some people will test more accurately than others. If I am nervous or anxious, will that effect the polygraph? Possibly but probably not. The truth is that virtually everyone is nervous, upset, and anxious when taking a polygraph. Nerves and anxiety alone have no impact on a polygraph’s result. As stated above, some people have stronger emotional responses to lying and telling the truth. It is important for the defense lawyer to properly assess and vet a client to make sure he or she is making the right choice. Lewis & Dickstein, P.L.L.C. is a highly experienced criminal defense law firm that can help you decide whether to take a lie detector test or polygraph examination. If you are asking yourself, “should I take a polygraph exam that is requested by the police?”, you need the help of a seriously experienced criminal defense lawyer. The defense team with LEWIS & DICKSTEIN, P.L.L.C. 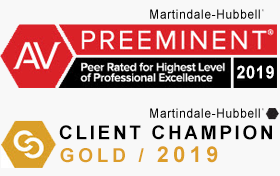 has decades of experience protecting clients and helping clients make these decisions. 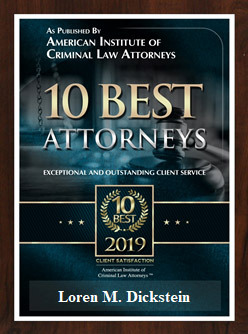 Call us for a free consultation and confidential case evaluation at (248) 263-6800 and a seriously experienced criminal defense lawyer will be able to help you determine what the best thing is to do for you or complete a Request for Assistance Form and we will promptly contact you.